Vern Burkhardt (VB): You say you wrote The Innovation Solution to offer everyone a simple innovation solution process. Can it be a simple process? Praveen Gupta: I wrote The Innovation Solution to share the breakthrough innovation framework with everyone. It is written for the casual reader. Innovation is not limited experts only. Is there only one process? No, there can be many processes but I haven't found anyone who is systematically studying the knowledge, science, or systematic approach to making innovation a learned skill. I purposefully started my innovation journey to develop a framework so it can be taught to people. People still think innovation is a fuzzy thing and perhaps even a gift from the outer world, but any field starts with subjective knowledge before becoming a repeatable and routine knowledge. I want to move the field of innovation in the direction of becoming a routine knowledge. Today it is in at an intermediate state where it's still not fully understood. My framework takes the level of knowledge a considerable stride in being much better understood. VB: Is this an accumulation of your experience in the area of innovation? Praveen Gupta: Well, it is an outcome of my investigations and research to find answers to the questions that people have about innovation. What is innovation? How should it work? What can I know about it? What should be done to be more innovative? Why are some people or organizations more innovative than others? What are some of the inefficiencies in the innovation process? These are simple questions, but the answers are not necessarily obvious. New product development and growth opportunities are the least efficient and effective processes in a business. Innovation and improvement in these areas offer corporations the major opportunities for improving profit and growth. My breakthrough innovation framework and innovation solutions book will contribute to making these processes a little better understood and more successful. VB: What is the "innovation solution?" Praveen Gupta: A lot of people have been focusing on a strategy and on policies for innovation. So, this is not an innovator's solution. Instead, the innovation solution is about the process that makes innovation a pervasive, predictable, and profitable way of exploiting people's intellectual capabilities combined with corporate resources. VB: You say the basic purpose of innovation is "to help people live longer and more comfortably." It all comes down to this basic purpose? Praveen Gupta: Those are my observations about why people want to innovate, and it relates to mankind's evolution. Innovation is always about making human life easier, better, and more comfortable. These involve seven categories of human needs: safety, food, health, communication, entertainment, productivity, and comfort. If ever we don't have the desire to become a better species there will be no need to innovate. We know this desire will never go away, so the purpose of innovation will continue to be to make our lives better, and personal, professional and financial growth. VB: "With the Internet… the rate of innovation is changing, and large corporations cannot keep up with it." Does this mean implementing alternative approaches to innovation, such as open innovation, will increasingly be necessary for survival in the 21st century? Praveen Gupta: Yes, alternative approaches to innovation will be one of the secrets to survival. IdeaConnection, which will be publishing our conversation, is a good example of how to use the intellectual capital of facilitated teams working online to generate solutions to difficult challenges of companies and other organizations. It's a feasible and viable process, and suggests an important way for innovation to occur in the future. The Internet Age has brought customers and producers much closer together – they're only a few seconds apart. Physically you can be at the other side of the world but you are still only a few seconds apart from each other. You can demand and communicate what you want. As a result, companies must achieve more innovations faster and with greater efficiency because if they don't they would neither have solutions nor make any money. To remain profitable companies must learn and use alternative innovation processes to achieve speed, efficiency and success. VB: You say, "…with access to the Internet, a networked individual is the building block of innovation." Do you have any advice about how to mobilize this network? Praveen Gupta: Once you recognize that the building block of innovation is an individual, not a large corporation or any of its departments, you can then set out creating opportunities to form virtual clusters. In order to achieve an economic advantage from innovation in the Knowledge Age, you not only empower individuals and enable them to collaborate but inspire them to work together to create wealth around the world. They don't have to be co-located. That's the power of the Internet and recognizing that networked individuals are the building blocks of innovation and are at par with corporations for innovation. VB: And they can create wealth virtually? Praveen Gupta: They can create real wealth even though they are in different locations throughout the world. They are virtually co-located. VB: And this enables the advancement of knowledge. Praveen Gupta: Yes, it is about creating new knowledge together rather than bringing people physically together for incremental innovations. VB: "Growth creates hope and excitement, while pursuing cost management alone leads to fear and stress." Would you talk a bit about this? Praveen Gupta: As we have seen in the last 20 or 25 years most corporate leaders in the developed economies have focused on profit. When they tried to improve profit they focused on operational excellence implementing LEAN, Six Sigma, and other continuous improvement approaches. Leaders must recognize that cost reduction has a limit. You cannot improve beyond a certain point when you take this approach. Their focus on cost cutting almost inevitably leads to a reduction in operations and so-called 'right-sizing', and this leads to layoffs. This stresses people and in contradicts commitment to innovation. They fear punishment and repercussions if they don't cut costs. For people cutting or no cutting cost the outcome appears the same – lay offs. When you aim for growth it forces you to think which brings intellectual challenge but also an excitement. Work feels more fun. Fun does not mean wasting time; instead it means you can think without constraints. So when you focus on growth you're encouraging thinking rather than action. Thinking is most productive during those happy moments when people can see unlimited possibilities. Growth has no limit to growth opportunities. With a growth focus you can do as much as you want versus limited options for controlling costs. Cost reduction programs diminish human spirit, and growth initiatives inspire people. VB: As you point out, for over two decades the main measures of continuous improvement in many businesses have been cost reduction and profit. Are you finding that more companies are now implementing measures related to innovation? Praveen Gupta: It is human nature to want to measure for results. We want to measure innovation because we want to see the magic right away. But I have learned that without understanding innovation we will create many meaningless measures. The data may provide statistical correlations but there's unlikely to be causative relationships to help us understand the true impacts of innovation. As a result, people draw random conclusions, and sometimes even conflicting and wrong conclusions, and make wrong decisions about investments. It may be possible to establish many measures of innovation, but without knowledge of the process you end up with too many measures and too little effectiveness. If you understand the process as few as three measurements can give you much more return on your effort to measure effectiveness of innovation. Yes, only three measurements, but measures must follow the better knowledge of the innovation process. VB: "Innovation should no longer be considered the result of a flash of genius; instead, it should be targeted to making everyone a genius." How do you make everyone a genius? Praveen Gupta: Creativity is looking for a different way of doing things. It is combining two or more things differently. You can look at any solution, any creative idea – that's how it is formed. When people become good at combining things they become good at being creative. Above all else it requires a commitment to be creative. Research and invention are investment in your business proposition, and development and innovation must ensure a healthy return on investment. A genius is the one who thinks differently as compared to anyone else around. If we make it a subconscious habit to always be looking for a different way of doing things by combining two or more things uniquely compared to what anybody else does we can be a genius. By understanding that this is in essence what a genius does we can put this way of thinking into practice, and try to be a genius every day. It's not difficult to do at all. VB: It would likely make us much more productive. Praveen Gupta: Oh, I think most will love it. In the absence of innovation and being creative when friends meet and exchange pleasantries such as, "How are you doing or what is new?" no longer will the almost automatic response be "same-old, same-old." If they are being creative and innovating they will never give such a reply. They will always have stories to tell because they will be having different experiences, and will be excited sharing their new experiences. VB: "…the fundamental strategy for any business must be to sustain profitable growth." Would you talk about this? Praveen Gupta: The question is what should businesses focus on given that the current strategy of focusing only on profit is causing all this chaos and loss of jobs and opportunities? When you first start a business your first goal is not to make a profit. Instead it's to find the first customer to get your first project, your first engagement or the first sales order. So growth precedes profit. Whenever you want to build a business first of all you must focus on selling. Sales mean business, and zero sales mean zero business. Similarly, corporations must always focus on revenue growth then profitable execution. Our fundamental business strategy should be to sustain profitable growth. It is the same for all businesses. For not-for-profit organizations it would be sustaining value-added growth or offering more services. We must always focus on growth, but it must be profitable growth. Growth creates hope and excitement and a sense of freedom, while cost reduction creates fear and stress, a feel of constraints. Where is this profit to come from? Without growth, businesses cannot survive long. If businesses follow a strategy of cost cutting to the extent of reducing capability and lowering revenues they will shrink, and eventually have to close their doors. VB: "…organizations can have excellent strategic plans, but they are rarely executed successfully." In your experience, why is this the case? Praveen Gupta: It has been understood that business strategies are successfully executed less than 10% of the time. Mergers and acquisitions are only about 15-20% successful. Even venture capital investments have a low success rate, as do the new product launches. The development of a business strategy tends to be more of a right-brain activity while execution of the strategy is more of a left-brain activity. If you develop a strategic plan without collaborating with the left-brain thinking execution people, it will have little chance of experiencing a successful implementation. Operations people must be involved in the development of the strategies and product development. New product designs must be reproducible profitably. A business strategy must be executable; otherwise the best of intentions would only cost. We improve the business strategy success rate by teaming the right-brain and left-brain people, i.e., strategy and operations people. Similarly, in the research and development functions most of the effort is directed at product development rather than research with the result that often product performance is marginal and manufacturing is dumped with 'me too' and suboptimal designs. To become a highly profitable and growing organization, we must create a culture of excellence and innovation. We must always do better than anybody else and we must innovate continually. VB: The last time we talked we discussed your "Brinnovation™" framework. Would you refresh our memories about the rule of two? Praveen Gupta: Brinnovation™ is an abbreviation for breakthrough innovation, and the breakthrough is defined by the rule of two. The rule of two says if less is better, if you have to innovate something to make it significantly smaller or lesser, divide by two will determine the extent of innovation. At least cut the characteristic into half to set the innovation target. If more is better, then multiply by two, or at least double it. A breakthrough innovation must make the change or difference visible. If it is different, it better be very different. Don't tell your customers a product or service is different if it doesn't look or operate differently. Breakthrough innovations must look different, work differently and feel different. It must offer a unique enjoyable experience to the customer besides more features and value. VB: Does it surprise you when you encounter business leaders who do not understand the basic innovation process and yet demand innovation from their employees? Praveen Gupta: Someone recently suggested that most executives who don't truly understand innovation don't effectively pursue a path of innovation. They may cling onto the theoretical notion of innovation or even recite the words around being more innovative, but their decisions don't reflect a business strategy of promoting new business growth through innovation. Of course, these same executives often demand innovation from their employees, "Be innovative," but they don't really mean it in terms of insisting on implementation of an actual innovation framework and set of processes. They don't understand what it takes to establish a truly innovative company. Without sufficient understanding the innovation process, executives defer innovation decisions in the interest of cost reduction, and miss out opportunities for grand successes. For them innovation is still magic or a mystery. That is why our focus is education in innovation for making innovation more pervasive, predictable and profitable. VB: When you are working with a business what do you look for when assessing whether they have a good innovation process? Praveen Gupta: This is a great question. Recently we developed a Business Innovation Maturity Model that has 5 stages: Sporadic, Idea, Managed, Nurtured, and Sustained. Once leaders have a basic understanding of innovation their first question before deciding to develop a strategy to pursue the path of innovation would be, "Where are we now when it comes to innovation? What processes do we have in place that indicate we are being innovative compared to our competition?" They will want this benchmark in order to highlight available internal resources for innovation, determine existing deficiencies, and identify opportunities for better and faster innovations. The Business Innovation Maturity Model can tell them where they are, and how they can pursue a path toward building an innovative organization for sustaining profitable growth. Only by assessing where they presently are can they determine what to do next. Educating employees in the concepts of innovation and its benefits, and engaging them intellectually are often the first steps to build a culture of innovation. VB: What is the best way for business leaders to learn how to create a culture of continual innovation in their organizations? Praveen Gupta: In order for executives to create a culture of innovation rather than focus on developing only one innovative product they must assess what are their company's innovation capabilities, where the opportunities lie with customers, and which processes need minor or significant change. Only then can they develop the right strategy. VB: You say that "the story" is an important aspect of executing an innovation strategy. Do you have any tips for explaining to employees why they should change the story being told? Praveen Gupta: The story has to focus on the common good in which employees see their good as being the same as the company's good, and indeed as the society's good. Only then employees buy into the story. If they only see the innovation strategy as being good for the company leading to bonuses for the executives but nothing of benefit to them, they won't buy into it. So the story has to be that the company cares for its employees, only wants to do what is best for the employees, and as a consequence it will be good for the company. Seeing employees first and company second customers would enjoy the experience working with the company. Innovation is not for the company. Companies are made up of people and their leaders. So innovation is for the people in the company and ultimately for the benefit of society. If we have a story that connects innovation to people it will be sold. If it doesn't connect to employees it's not going to be powerful enough to drive change, and make innovation an integral part of doing business. VB: Sometimes employees forget that the company is for them, as employees. Praveen Gupta: Every employee is a part owner of the company because the employees' continued employment depends on the health and wellbeing or the company's continued profitable growth. Today 'HR' is a term used to refer to Human Resources in a company. In a sense employees have been trivialized by being described by these two letters. It's like being reduced to a number. And they are discarded like numbers during economic downturns or when there is a short-term focus on profit by cost reduction. Thomas Watson was the founder of IBM and led it to great successes. I was curious about his approach while he was building IBM to become a highly successful company. In reading one of his books I found a powerful message in the context of innovation. In Thomas Watson's time, 'ER' was used rather than 'HR' and it stood for employee relations. He knew that if the owners and leaders have a good relationship with employees, their employees will care for the company. The first priority of a leader is to listen and care for the employees and they, in turn, will care for the company and will innovate. They will think about how to improve business processes and develop new products and services. If they feel they're not cared for or not listened to, they will have no interest in applying their intellectual energy to create new solutions. VB: Most companies have changed the name from Employee Relations to Human Resources. I guess they don't understand the distinction you've just shared. Praveen Gupta: Yes, but I feel innovation of Human Resources must be undone to Employee Relations. A lot of companies will say in their written materials and their leaders will repeat that "Employees are our most valuable assets," but employees are the first assets to dispose of. Many leaders will say employees are highly valuable, but their actions suggest they don't really mean it. Employees are disposed of before the companies' machines. Many companies follow the strategy of keeping the machines but letting some of their key employees who are operating them go – and with them goes all the training, knowledge, and skills. In the Knowledge Age employees are even bigger assets than before so companies should focus on building employee relationships. The first evidence of building relationships is listening to employees' ideas and not scare them of lose of their jobs in the case of an economic downturn. VB: The fourth step in your innovative idea generation process is to write down funny ideas about the topic under consideration for innovation. You say that in this step during training "practically everyone stumbles, with a few exceptions." Why is this? Praveen Gupta: Our environment has been so structured and sterilized through education and subsequently through work that we end up telling people what to do, and we tell them by our actions "Don't think; be serious". Implied is we are growing older and wiser, and we shouldn't be having fun. Most brainstorming meetings are only about 30% effective, and normally even the best ideas generated in those meetings are not so good. The typical brainstorming session is like memory jogging. Participants are dumping their experiences; they're clearing their memories. But while doing this they're not thinking. Thinking begins when you ask people to come up with some crazy, stupid, or funny ideas. Funny ideas occur when you get the left and right hemispheres of the brain to work together for the purpose of creating an enjoyable experience. The extent of innovation increases when you move from generating good to funny ideas. Our studies have shown that if you ask people to think crazy, think stupid, and think funny they will be much more creative in coming up with new, innovative ideas. The thinking process has four stages. The first is to think of good ideas to clear the brain, and then dump the old ideas out of your subconscious mind by writing them down. Then you can start thinking of fresh ideas that are crazy, stupid or funny. Stupid ideas take more time to think up than good ideas. Funny ideas are even harder to think up because for funny ideas we use our crazy and stupid sense for the purpose of innovating our products and services to provide our customers an enjoyable experience. This means you care for customers. VB: Do you personally use this approach when tackling significant problems? Praveen Gupta: Absolutely. I have done this experiment with people from all over the world, and in different countries. People love it. In the beginning it sounds strange to be thinking stupid and funny ideas. For example, I was giving a talk to high school students and later one mother told me, "She thought her some was doing some stupid things and it was not good. She was happy to realize that he was trying to do differently and being innovative!" Recognizing your kid's potential, which according to societal standards would be called stupid behavior, is important because it's possibly innovative behavior. We often kill people's creativity because we call their actions or thoughts stupid, and stupid is considered bad. We need to change our thought process so that if somebody labels an idea as 'stupid' we think it means innovative. It may be a highly creative idea. As Einstein said if something you innovate does not look absurd, it must not be innovative enough. You can extend stupid to absurdity. VB: "Ultimately, every employee has the responsibility to play and create value through innovation." How does play contribute to innovation? Praveen Gupta: Play is an alternate word for experimentation. How do kids play? They play by doing different things and using their creative minds to act out different scenarios. In the workplace we have to create a culture of play where people can experiment without the fear of failure. We have to recognize that if people are experimenting with new ideas and new things they're not failing. Einstein used the term "combinatorial play" for trying different combinations in your mind. Every innovation is a unique combination of two or more things. Only by trying different combinations can you come up with the right combinations. Play implies combinatorial play – experimenting without fear of failing. VB: Would you talk about the TEDOC methodology, and why it is so valuable as a process for innovation? Praveen Gupta: Most innovations fail or fail to achieve their full potential. When a lot of innovative products are developed they are functionally designed and then given to manufacturing. This makes it difficult for manufacturing processes to reproduce due to design issues. As a result products are often over-specified or over-engineered and therefore expensive to manufacture, which means they are expensive for customers. I tried to address these problems in the TEDOC methodology. This methodology is based on a breakthrough innovation framework with 14 steps grouped into 5 phases: Target, Explore, Develop, Optimize, and Commercialize. Many innovations are not developed with sufficient input or insights off the customer experience. As Steve Jobs often said in his interviews, "Nobody listens to our customers more than we do." One of his priorities was to think of all the possibilities for which customers might use Apple's products or services. These possibilities are incorporated into the products, and interestingly not all capabilities publicized. It is left for customers to discover over a period of time resulting in sustained surprises and pleasant experience using Apple products. Target means not just knowing what we know now but, more importantly, extensively listening and paying attention to the insights of customers' needs and applications, and then deciding what to innovate. It identifies a clear need for innovation based on opportunity analysis. The need is found in complaints, indecisions, technical limitations, nagging or chronic problems, and competitors' limitations. It also involves examining the maturity of the industry, trends in the supply chain, and target markets. Then key benefits of the solution to be innovated must be documented. Explore implies research. In a typical R&D department there is little or no research but all development. Research doesn't mean learning something new. Research is like searching what has already been researched and developed. Researching is identifying what has been developed to date so you can develop beyond that level. In the innovation process exploring is about knowing what has been done before so you can think what can be done next. The Develop phase is to force ourselves to develop multiple alternative solutions rather than just one because the one we initially develop might not be the best solution. We want to maximize innovation, not just engage in it. Following the rule of 2, which we discussed earlier, will help ensure our final solution will be a breakthrough innovation and this, in turn, will require a different approach than the status quo. The company must try to maximize innovation rather than practice a minimalist approach to innovation. The Optimize phase is making innovation profitable, and this is where a lot of companies fail. They don't optimize the design in pre-production stage resulting in significant waste affecting profit directly adversely. The prototype or pilot run that initially looked acceptable might result in continual rework and field failures. You want to pay attention to the affordability and the profitability before bringing a product to the marketplace. The fifth phase is Commercialize. Businesses must begin innovating with commercialization in mind. Often commercialization is more difficult than developing an innovative product. An innovation will fail if not sufficiently marketed. Every innovator must learn how to commercialize ones innovation that means developing the ability to create and communicate value. In today's e-world businesses must extensively use social media and viral marketing tools to market and sell innovative solutions. Without Target there will be wrong innovations, without Explore there will be me-too innovations, without Develop there will be the minimal innovations, without Optimize there may be no profit, and without commercialization there will be no innovation. VB: When talking about the seven killers of innovation, you say, "Trust me, I know!" in reference to "expertise has an adverse impact because of associated baggage." How do you know? Praveen Gupta: Expertise without continual exploration quickly becomes an obsolete knowledge. Effectively there are no experts because in today's age things are changing so rapidly that nobody knows everything. Experience means you are willing to share, explore, and collaborate to build something new. VB: "…a cluster of people by itself does not become more innovative; instead, a network of thinking individuals is more innovative." Has this been your experience in your consulting work? Praveen Gupta: In a group one or two people will dominate, and the others become quiet and do not participate to their full potential. Studies have been done of the effects of group dynamics on the innovation process. If you form ten groups of ten people each, let them solve a problem and compare their productivity with one group of hundred people thinking individually you will discover something rather surprising. The groups that had the individuals consider the issue individually before being formed into groups were more productive in generating novel and innovative solutions. By having them think individually before brainstorming as a group you use everyone's intellectual potential. If formed into groups without this individual thinking process it will block a lot of people's intellectual curiosity because of group dynamics. The lesson is we want to make sure that everyone has contributed intellectually before joining a group or a meeting. Brainstorming is all about building on each other's ideas. If people haven't thought of unusual or different ideas they're only building on the ideas of the few who intellectually or physically dominate the group. You want to make sure that everybody's ideas are used to build on the ultimate solution. VB: The tendency for one or two people to dominate a group is interesting isn't it? It seems to be a universal phenomenon. Praveen Gupta: It's not their fault. It is due to a lack of a good brainstorming process. Brainstorming will not work well without people understanding the thinking process. If people are instructed to think of some creative idea they don't know how to go about it because few are ever taught how to think of creative ideas there will be a limited creativity. Giving participants the opportunity to think of ideas first, and then being able to discuss these ideas in a brainstorming group will be much more productive. VB: You identify 3 of the 10 measurements in your Six Sigma Business Scorecard book as relating to innovation: employee recognition by CEO, employee recommendations, and new business/sales ratio. Would you talk about this? Praveen Gupta: Often innovation is measured in terms of new ideas, patents filed, new products introduced to the marketplace, revenues derived from new products, or the number of people or hours of work dedicated to innovation activities. At a fundamental level, however, the measurements should be related to growth in the company. It comes back to the concept of profitable growth. The goal should always be to minimize the number of measures in an organization because the purpose of business is not measures for the sake of generating statistics for management, but to produce value for customers. Therefore we always want to minimize the number of measures to only those that are highly relevant and necessary. An understanding of the innovation process suggests three measurements are most relevant. They relate to inputs, in-process activities, and the results of the innovation process. Input is inspiration, which is employee recognition by senior management, preferably the CEO. Recognizing employee innovations will breed more innovation. Ideas that employees generate are in-process activities, and these must be encouraged if a culture of innovation is to take hold in a company. The first goal of innovation is generating new ideas without judgment, and these must be listened to and acted upon. The third relevant measure of the innovation process is revenue growth, which is to say new business and increased sale of innovations. These three measurements essentially represent the complete innovation process. They are correlated, manageable, and predictable. If the measures are low it can be concluded that the company is not inspiring people, encouraging people to generate innovative ideas, or producing revenue growth. Whatever is the case this must be addressed and actions taken to accelerate and improve innovation. VB: "Human capital consisting of intellectual capability is one of the most underutilized resources….Managers love to see highly intelligent people run around, but rarely allow them time to use their brains." Does it surprise you when you encounter this in organizations? Praveen Gupta: Sometimes it makes you wonder why leaders hire qualified people, and then get them do trivial work and keep busy running around doing low value tasks. It goes back to the question of having a strategy of focusing on profit versus focusing on growth. If we focus on growth we will encourage employees to engage intellectually and generate innovative outputs leading to increased revenue. A leader has the responsibility to not only grow the business but to also create opportunities for employees to grow personally, professionally, and financially through incentives and recognition. Once leaders start to think in terms of growing employees skills, developing innovation capabilities, and caring for employees they quickly realize they have to intellectually challenge their employees. There is a high risk if employees are not challenged. People will stay in a company when they're accomplishing a lot, but will leave when they aren't producing or feeling productive. So to have creative employees who accomplish a lot we have to challenge them to do something new and enable them to think creatively. VB: "Eventually, a continual flow of employee ideas toward development of new products or services in response to demand from customers or the marketplace should become the status quo." Do you encounter this situation very often with your clients? Praveen Gupta: I encounter it from time to time. A continual flow of ideas needs to become an ongoing process. You want to have all of the brains in your company working all of the time. The beauty is that brain capacity is infinite, and so are the potential opportunities. So if a process of a continual flow of employee ideas becomes the routine you will have surprises every day, and identify new growth opportunities. VB: Do you have any final advice about the innovation solution? Praveen Gupta: To make the innovation process more pervasive, predictable and profitable leaders and executives must commit to growing their business and investing resources before they need to. If the innovation becomes critical it will diminish the innovation process because crisis will overtake a more creative approach. Leaders must understand innovation first, identify innovation champions, ensure employees are trained and learn innovation skills, and act innovatively themselves. Once they understand the innovation process they'll be more inclined to engage their people and make the innovative process more pervasive. VB: Have you been pleased with the response to your book, The Innovation Solution? Praveen Gupta: So far it has been very satisfying, and I'm looking forward to seeing it becoming a widely read book for learning new rules of innovation in the 21st century. VB: I presume you have plans for another book in the future? Praveen Gupta: We are editing Global Innovation Science Handbook for McGraw Hill. VB: Thank you for telling us about the innovation solution. Praveen Gupta: It had been a pleasure. Thank you for your support and for publishing the interview on IdeaConnection.com portal. Author Praveen Gupta says, "Innovation is continually and efficiently developing and delivering breakthrough solutions by offering higher value to customers, achieving profitable growth for businesses, and gaining competitive advantages in the marketplace." He advises that planning for innovation at all levels will happen if corporate strategy is linked to profitable growth. It's about ensuring there is a return on investment in innovation. Praveen Gupta is a Director at the Center for Innovation Science and Applications at IIT School of Applied Technology, and an adjunct faculty for teaching Innovation classes. Praveen is an internationally recognized thought leader in Process Management, Corporate Performance, Six Sigma and Innovation. He is the author of many books including Business Innovation in the 21st Century (2007), The Six Sigma Performance Handbook (2005), and Six Sigma Business Scorecard (2003). He has conducted workshops and given keynotes frequently on business innovation. Praveen is the founding Editor of International Journal of Innovation Science, and co-editor of Global Innovation Science Handbook (2013). 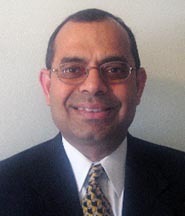 Praveen is President of Accelper Consulting, an Operations Management consulting firm. He is leading the innovation change through education in innovation in academia and industry. Praveen has worked with over 100 small to large clients. His innovation training is being offered by AIAG (Automotive Industrial Action Group) starting 2012. He has developed Certified Business Innovator and supporting training programs offered by IIT for executives and professionals. Praveen Gupta has a Bachelor of Science in Electronics and Communication from Indian Institute of Technology in Roorkee, and a Master of Science in Electrical and Computer Engineering from the Illinois Institute of Technology in Chicago. Praveen Gupta is the author of The Innovation Solution; Making Innovation More Pervasive, Predictable and Profitable (2012), Business Innovation In the 21st Century: A Comprehensive Approach to Institutionalize Business Innovation (2007), ISO 9000: 2000 An Implementation Guide (2006), The Six Sigma Performance Handbook (2004), and Six Sigma Business Scorecard: A Comprehensive Corporate Performance Scorecard (2003). He is also co-author of Stat Free Six Sigma: Focusing on Intent for Quick Results (2007), The Six Sigma Green Belt Handbook (2009), A Complete and Balanced Service Scorecard: Creating Value Through Sustained Performance Improvement (2008), Improving Healthcare Quality and Cost with Six Sigma (2007), Six Sigma for Transactions and Service (2004), The Six Sigma Black Belt Handbook (2004), Six Sigma Business Scorecard: Creating a Comprehensive Corporate Performance Measurement System (2003), Six Sigma Deployment (2003), The Role of Board Members in Venture Capital Backed Companies: Rules, Responsibilities, Motivations of Board Members—From Management and VC Perspectives (2004), and The Ways of the VC (Inside the Minds) (2003). The Innovation Solution is an abridged version of Business Innovation. His published articles include "Innovation: The Key to a Successful Project" (Six Sigma Forum Magazine, August 2005), and "Innovation and Six Sigma" (http://www.qualitydigest.com, December 2004).